Awesome! I thought it was just us. You overpaid! 🙂 Cute post! Hello John, Karl here. You paid too much for your soft serve ice cream. May I suggest the ice cream at Burger King. Their machine is down from time to time also, but the ice cream is only 50 cents. 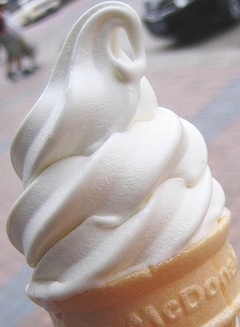 For some really good ice cream, go to the only Dairy Queen in the city on Airline Drive across from Zephyrs Stadium. $2 for a Large Cone. If you like chocolate, you could have it dipped.